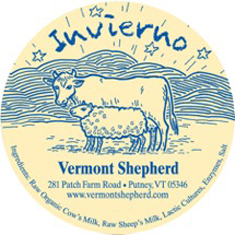 Vermont Shepherd, also known as Major Farm, in Putney, VT has been making award winning sheep and cow’s milk cheeses since 1993. These farmhouse cheeses are full of flavor and have beautiful natural rinds. Our cheeses have been featured in The New York Times, Food and Wine, Gourmet, Wine Spectator, Yankee Magazine and many other publications and are available in specialty food shops nationwide. Our lovely gift assortments are quite popular and are available seasonally. We also offer special holiday selections. 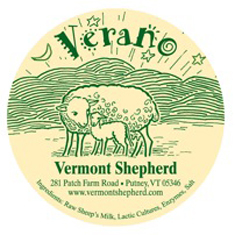 We welcome visitors to the Vermont Shepherd Farm Store at Patch Farm! We are open, year round, 7 days a week from 9am to 5pm and are located in the middle of the farm with the views of the sheep grazing on high hay fields. We are located on the right of Patch Farm Road off of Patch Road, in Westminster West. We carry all our farm products in the store– our famous cheese, ricotta, wool and wool products and other items. You may also place an order from our secure website. at our Farm Store located on the road into our farm. 9am – 5pm — 7 Days a week, year round. Our award winning reserve! This is our flagship cheese, the one we started with back in 1993. The flavor is smooth and creamy; the flavor rich and earthy, with hints of clover, wild mint and thyme. Made from our farm’s unpasteurized sheep’s milk. Vermont Shepherd is a seasonal cheese, it is only made during Vermont’s warmer months, when our sheep are grazing the pastures and fields. Available August through April. Aged 3-6 months. Winner of numerous awards including Best Of Show at the 2000 American Cheese Society competition.